Cuban spy Gerardo Hernandez spent 16 years imprisoned in the US and was amnestied in the process of rapprochement. 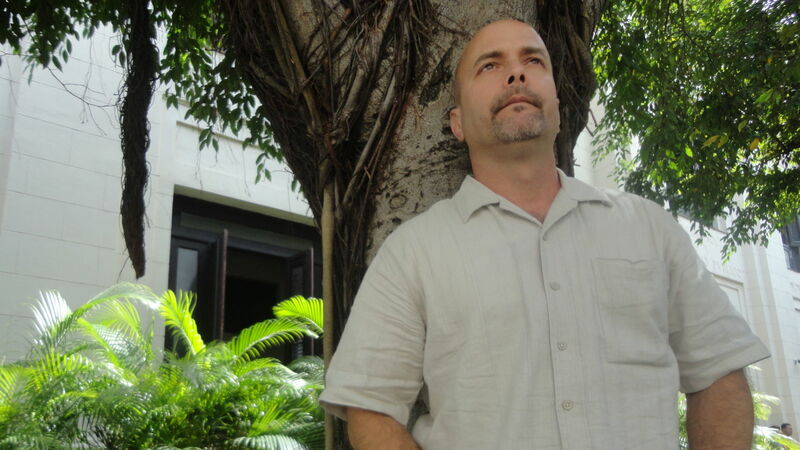 Former Cuban spy in the US believes that Havana has won the tug-of-war with Washington. Gerardo Hernandez (Havana, June 4, 1965) is the son of a Canary Islands woman who came to Cuba when she was fifteen. He does not have a Spanish passport and considers himself a Cuban patriot. He is the man of the moment on the island. Convicted of conspiracy to commit espionage in the United States, he spent more than fifteen years in prison there. On December 17, 2014 he was amnestied as a gesture of good will in the process of rapprochement between Cuba and the US. El Español has spoken with him under the watchful eye of the Alma Mater statue at the University of Havana days before the historic visit of Barack Obama to the island, which begins this Sunday. His words are echoed, and heavily so, throughout Cuba in this crucial moment for the largest of the Antilles. Why were you sent to jail and why where you amnestied? I was sent to jail because I was doing intelligence work for Cuba in the United States. For many years, groups that were sometimes paid and other times tolerated by the United States had been coming to attack Cuba, planting bombs in hotels, blowing up planes … The US never did anything to stop it, so Cuba was forced to send people over there to uncover their plans and send information over here. We were arrested and tried in Miami without the minimum guarantees of impartiality. In my case, I was sentenced to two life sentences plus fifteen years of imprisonment. After sixteen years in prison, as part of the ongoing process of rapprochement, the two countries reached an agreement, a part of which was the release of three of the five of us who were still in prison. Is it correct to say that you were a spy? Look, there are people who defend us and who take offense by the term. I tell you that the term is wrong, but I do not take offense. Legally it does not apply to us because according to US law, we were not accused of spying, but of conspiracy to commit espionage. But I do not feel offended by the term, as I said. I was an intelligence officer and a spy is something that people talk about in the movies and such. 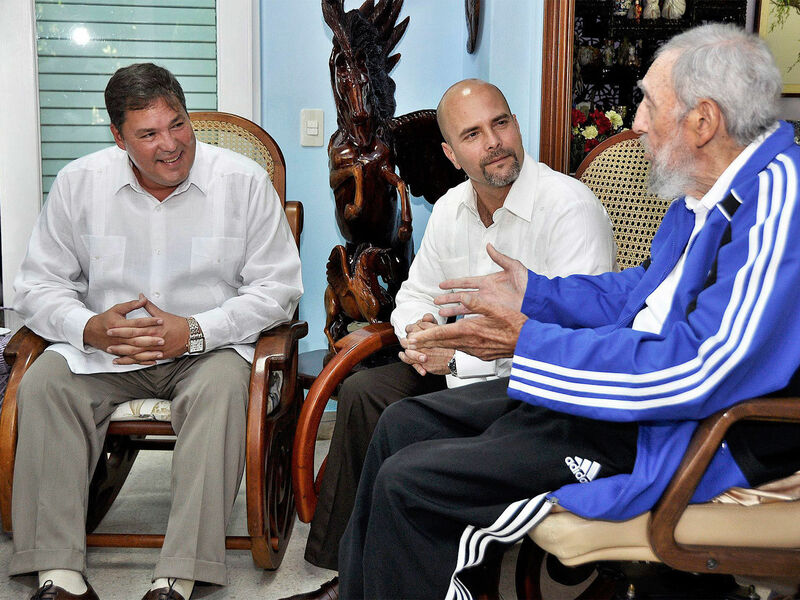 Fidel Castro talks to Hernandez and Ramon Labañino, another of the prisoners. Looking ahead, do you see yourself returning sometime to the US, or do you think of the country holding a grudge? I hold no grudge whatsoever. I took up a responsibility when I agreed to carry out my mission and I have no problem with that. While we did have the unpleasant experience of hearing people say that they wanted to lynch us, and of having had an unfair trial that lasted more than six months, there were also people, including political and religious officials, who were able to see that our cause was just; also there were actors like Danny Glover, who supported us. Generally speaking I have no negative feelings toward the US people, but I do not see myself going back because one of the conditions imposed for our release was that we could never go back to that country. I’m going to ask you to be critical of the Revolution and tell me what it has done wrong in these decades, and if you understand that it is time to seriously consider holding multi-party elections in Cuba. I think that we do have options in Cuba. I guess you mean the fact that there is a single party. That is the result of historical factors: José Martí founded a single party to make it the party of the Cuban nation. Over time, the Communist Party of Cuba has opened up to other sectors such as the religious. Our goal is to make it even more participatory; but we firmly intend to maintain unity. Our people, 90, 80 or 75 per cent of it support their Revolution. Throughout our history we have paid dearly on account of disunity. If they manage to divide us, we will be in trouble. You cannot analyze Cuban reality without emphasizing that we are a small country only ninety miles away from the most powerful nation in the world, one that has been determined to prevent Cubans from choosing our own destiny. Our people, 90, 80 or 75 per cent of it support their revolution. You can rest assured that the day when Cubans do not support the revolution, this could not hold. If we are standing today, it is because we have the majority of Cubans with us. It is not a perfect society, but we want to make it ourselves. This is not a monarchy. In Cuba, the succession that occurred was because Raul was our vice president and there was no one else more apt or loved by the people. The [National] Assembly [Parliament] met and he was elected. My personal opinion is that it should be comrade Miguel Diaz Canel, who has a great performance record. But everything depends on the will of the Cuban people. You speak of the will of Cubans and the possibility of it being expressed under the current regime. When you were in prison, the late dissident Oswaldo Paya collected signatures –as contemplated in the law– in what was known as the “Varela Project”. He demanded freedom of expression and assembly, entrepreneurial freedom, democratic elections and amnesty for political prisoners. He was ignored, but eventually some of his proposals have been adopted. What do you say to that? Actually I was in prison then. I do know that there have been many projects financed from abroad. For less than that, in the United States you get accused of being an agent at the service of a foreign power, for which I got a fifteen-year sentence. I am sure that in Spain anyone who tries to change the government while being paid by a foreign power would go against Spanish law. If this happens in Cuba, other countries applaud. And, well, if we have taken measures that were in that project, let them be welcome. The bottom line is: in Cuba do people really have the possibility to make decisions about the political system within the current framework? Cuba’s current system is not perfect, just like all others. But I’ll give you an example: in the last election of the People’s Power, people who are openly against the Government were nominated. There was a vote and they had their chance. The only requirement in our system is that you get elected at the grassroots; you do not have to be a Party member. It is enough to have a base that supports you. Yoani Sanchez is primarily a media phenomenon created by the Grupo Prisma, and she is better-known abroad than inside. We can continue modifying aspects of the system to make it more participatory, but the possibility already exists. What happens is that these dissidents, who sometimes are better known outside Cuba than inside, do not have a base of social support. These are cases artificially created from abroad for a reason. And I’ll give you the case of Yoani Sanchez, a media phenomenon created primarily by the Grupo Prisma, who is better known outside than inside. She can stand here at any corner and nobody knows her. Sure, she hasn’t deserved it either. The Cuban media would give coverage to a woman who may be having a hard time trying to push her family forward. But I do not see any merit in this person to promote her, and we are not going to waste any money of our media to do so. There is a great expectation with Obama’s visit. Everyone in Cuba surmises that a new stage is about to begin, but no one gives a name to it. Perhaps it is an economic opening without altering the political system, as in China, or something else. What is your perception? I don’t have a crystal ball to tell you how Cuba will look like in a few years. What I can tell you is what most Cubans want: a country that solves the problems that still affect us, but also that it does not resemble the Cuba of the past when it was necessary to make a revolution. What would you demand from the United States so that it doesn’t stop at a policy of gestures; what specific measures would you like to see? Just what we have demanded for more than half a century, since the triumph of the Revolution: For the US to recognize our right to exist as an independent and sovereign nation, to recognize that we are not their backyard. For them to understand that Cuba is a nation that decided its own destiny; and that we Cubans have the right to resolve our own problems without foreign interference. In relation to the many Cubans who reside in the United States, conflicting versions circulate. The state newspaper Granma argues that this is not so and that they will do anything to prevent the Castro regime from receiving a life-line. What do you think? For many years now a lot of surveys have been performed by respectable firms, some of which are not at all friendly to Cuba. Even surveys by the US government itself recognize that the vast majority of Cubans living in the US want a normal relationship with their country. Now then, that vast majority of Cubans do not yet have enough economic and political clout to push for more rapid measures. Cuban power in the US is held by a minority segment –increasingly so– of powerful Cuban families who have found their way into Congress. The political and economic power there is held by a minority segment –increasingly so– of Cubans who left this country. They belonged to powerful families and in recent years have come to hold seats in Congress. Up until this week, there were two aspiring candidates for the US presidency of Cuban origin [Republicans Ted Cruz, and Marco Rubio who has withdrawn from the presidential race]. That segment is increasingly small, but unfortunately it is the one that controls the banks and the media. The majority is on the other side, but unfortunately many still do not vote and have no power to raise an opinion. If Ted Cruz wins, would it be good or bad news for Cuba? I think it would be very bad, because they are people who have lived off the hatred industry for many years. 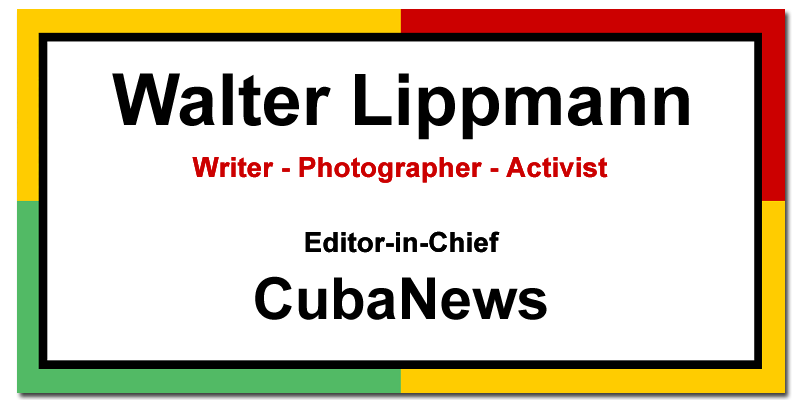 Hatred against Cuba has given them a modus vivendi like Ileana Ros-Lehtinen, for example, Lincoln Diaz-Balart … members of Congress who for many years have not had a well-defined program other than hatred against Cuba. They have objected to everything that might have benefited the Cuban people. For instance, when hurricanes have devastated the Island and the Red Cross has wanted to seek help from the United States, they have even opposed that. Their preaching has always been: we will destroy the Government of Cuba; we will recover Cuba at any price. They have motivated a generation of old Cubans who know nothing but that message of hatred. That will change with the new generations of Cuban immigrants, especially starting in the eighties, who went to that country to advance economically and help their families. If the US puts on the negotiation table the need for free elections in Cuba before discussing Guantanamo and the blockade, would it be acceptable? Of course not. If we talk to them it is because they have recognized that it is impossible for Cuba to accept preconditions. For many years they said they had nothing to negotiate while the Castros were in power, the country was Communist and had a single party; Cuba always remained firm and said that if we ever sat down to negotiate, it would be on equal terms without preconditions. Finally they had to accept. Do you think Cuba is the winner of this tug-of-war? I think that Cuba has already won in the sense that we have not given up any of our principles to sit down and negotiate. They are the same since 1959. The United States has said for decades that it would never negotiate while the Castros were in power and yet, Raul Castro is our president, Fidel is alive and is our guide. And they are negotiating with us. It is a victory for Cuba that they have sat down to negotiate without conditions. Gerardo has recently become a father. The numbers don’t add up for a period of normal pregnancy, since his daughter was born a few days after he was released. The explanation: “We always wished to have our child; we had asked for conjugal visits for prisoners, something that happens in Cuba but not in the United States, at least in federal prisons. My wife Adriana asked an American senator for help and he knocked on the right doors to allow me to make a donation after my wife had her eggs frozen. It was a process of in vitro fertilization”. The little girl is called Gema and she was born on January 6, 2015. Fui encarcelado porque estaba en Estados Unidos haciendo labor de Inteligencia para Cuba. Durante muchos años, grupos a veces pagados y otras tolerados por Estados Unidos han estado viniendo para agredir a Cuba, han puesto bombas en hoteles, derribado aviones… EEUU nunca hizo nada para impedirlo, así que Cuba se vio obligada a mandar gente a ese país para descubrir sus planes y mandar información para acá. de que se valore seriamente celebrar elecciones plurales en Cuba. disidente ya fallecido Oswaldo Payá recogió las firmas como plantea la ley en lo que fue conocido como ‘Plan Varela’. Pedía libertad de expresión y reunión, libertad empresarial, elecciones democráticas y amnistía para los presos políticos. No se le hizo caso, pero con el tiempo se han adoptado algunas propuestas que proponía. ¿Qué opina? personas que son abiertamente contrarias al Gobierno de Cuba. Se votó, tuvieron la posibilidad. El único requerimiento en nuestro sistema es que te elijan en la base, no tienes que formar parte del Partido. Basta con que haya una base que te apoye. En relación a los muchísimos cubanos que residen en EEUU circulan versiones contrapuestas. En el diario estatal Granma sostienen que no es así y que harán lo que sea para evitar que el régimen castrista reciba un balón de oxígeno. ¿Qué opina? de la industria del odio. El odio contra Cuba les ha dado un modus vivendi y pongo por ejemplo a Ileana Ros, Lincoln Díaz Balart… congresistas que por muchos años no han tenido un programa definido que no sea el odio contra Cuba. Se han opuesto a cuanto beneficio pudiera haber para el pueblo cubano. Antes de enrolarse en los servicios de Inteligencia Cubanos, Gerardo era humorista. Durante toda su estancia tras los barrotes asegura no haber perdido la ironía como arma de defensa. “Se le puede meter humor a dieciséis años en la cárcel, es algo que te ayuda mucho. Los humoristas tenemos un modo particular de ver la vida, y no es que lo tiremos todo a relajo, pero no conozco a ninguna persona de carácter amargado que pueda ser humorista. En mi caso me ayudó mucho el tener un carácter optimista. A lo largo de los años que estuvimos en prisión, los cinco nos reímos muchas veces de nuestras propias desgracias. Eso nos ayudó”. Gerardo ha sido padre recientemente. Haciendo números, no sale un periodo de embarazo normal, puesto que su niña nació pocos días después de haber sido puesto en libertad. La explicación: “Siempre tuvimos el anhelo de tener nuestro hijo; habíamos pedido la visita conyugal para los presos, algo que se da en Cuba pero no en Estados Unidos, al menos en las prisiones federales. Mi esposa Adriana solicitó ayuda a un senador americano, quien tocó las puertas necesarias para que yo pudiera hacer una donación después de que mi esposa hubiera congelado sus óvulos. Fue un proceso de fertilización in vitro”. La pequeña se llama Gema y nació el 6 de enero de 2015.